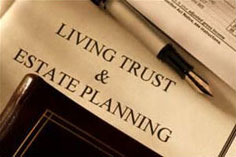 The following is a brief summary, not an all-inclusive list, of the duties of a Successor Trustee of a Revocable Living Trust after the Settlor (the person or persons creating the trust) dies. Obtain the advice of an attorney when necessary. Sign an acceptance of Appointment as Successor Trustee. Always be responsive to the beneficiaries of the trust. Determine if all assets are in the trust or if some assets are subject to probate. Keep a written record of your work on the trust to substantiate your fee, your mileage, and other expenses. Open a checking account in the name of the trust. Pay trust bills and expenses by check and keep all bank statements. Obtain a tax identification number for the trust. Sixty days after the Acceptance of Appointment as Successor Trustee, mail to the beneficiaries an Inventory of the all of the trust assets. Mail Consent forms to the beneficiaries consenting to the sale of real estate and the sale of other assets you deem appropriate. If the Consent forms are not signed and returned to you, have a petition filed with the probate court, send a copy of the petition and a notice of the court hearing date to all beneficiaries of the court date, and obtain a court order approving the sale of real estate. Have tax returns for the trust prepared and filed. One year after signing the Acceptance of Appointment as Successor Trustee (or less if the work as Successor Trustee is completed) mail to the beneficiaries an Account of the income and expenditures, using the total amount of assets in the Inventory as the beginning balance of the first account. 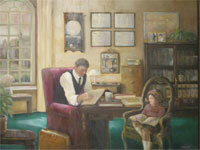 Each year the trust is administered, an annual account is prepared and mailed to the beneficiaries. Before the final distribution of the trust assets, obtain Consent forms signed by the beneficiaries consenting to the Account(s) and a Receipt that the beneficiary has received their full and final share of the trust.